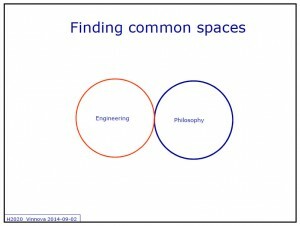 Blog Issue 1: – What’s in it for Social Sciences and Humanities? This is the first article in a planned blog series looking at different topics of relevance to research and innovation at the European level such as culture and creativity, gender, sustainability, SMEs participation, Marie Skłodowska-Curie grants, ERC grants and international cooperation. The new framework programme for research and innovation (H2020 FP8) at the European level is NOT a research programme specifically for scientific research. This may be hard for the research community at large to take in, says Monica Schofield, Director for International Cooperation at the EU Office at TuTech Innovation in Germany. Monica is an expert on European research funding and has recently visited Sweden to give a training workshop in support of social scientist and humanities participation in H2020 projects organised by Vinnova. 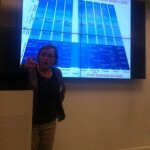 Representing my own EU project consulting company ThinkDo – linking theory with practice – I was there to learn. H2020 that has a budget of around 70 billion Euros underpins the objectives of the Europe 2020 Strategy for Growth and Jobs. It will make European research competitive at international level and contribute to achieving a European Research Area (ERA) – where researchers, scientific knowledge and technology can circulate freely. It will further contribute to the progress of a prosperous, socially inclusive, technologically advanced and sustainable European society. The programme has been designed based upon the view of the policy-makers, what they perceive as being useful and important for some purposes in terms of the common policies of the European Union (EU). H2020 should be generally understood as a financial instrument implementing the innovation union and the digital agenda under the Europe 2020 Strategy. Each societal challenge contains a number of specific priorities/focus areas. Social Sciences and Humanities (SSH) are at the heart of the societal challenge “Europe in a Changing World: Inclusive, Innovative and Reflective Societies”. A total of 29, 7 billion Euros has been allocated to funding societal challenges. Research projects are co-financed by the EU and the participants. The share of the EU contribution can be up to 100 per cent of the total eligible costs. Indeed, the programme has a stronger challenge-based approach than the previous framework programme for research and development (FP7). There is no specific space for conceptual research in social sciences and humanities as in FP7, with the exception of the European Research Council (ERC) that continues to give funding to research projects via a number of different schemes in the part for “Excellent Science”. There is also the Marie Skłodowska-Curie Programme (MSCP) designed to promote and increase the mobility of individual researchers. What the policy-makers at the EU-level want is to bridge the gap between research and innovation. Meaning that the research in social sciences and humanities needs to be much more problem-oriented than is usually the case in conceptual research studies. In addition there are a number of in-built supporting elements in the programme such as the Fast Track to Innovation (FTI) and the integration of the European Institute of Innovation and Technology. There are also elements to facilitate for SMEs participation. The overall focus on innovation for a purpose may require new thinking amongst researchers in developing the project with partners from both different disciplines and sectors of society. 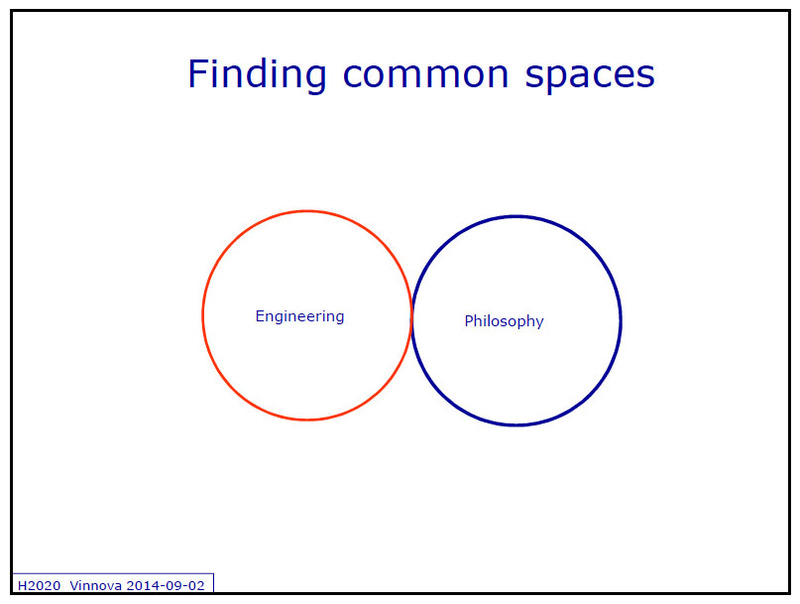 – What brings an engineer and a social scientist together? In H2020 Social Sciences and Humanities (SSH) has been fully integrated in the programme as a cross-cutting issue (alongside with gender, sustainability and international strategy). Social sciences and humanities are estimated to represent 35 per cent of the total topics in the work programme. While there are dedicated topics under Challenge 6: Europe in a Changing World – Inclusive, Innovative and Reflective Societies, more than 160 topics related to SSH are estimated to be outside of challenge 6. Medical research or technological research may for example involve ethical and philosophical issues that would need to be researched in a cross-collaboration to make the project complete. 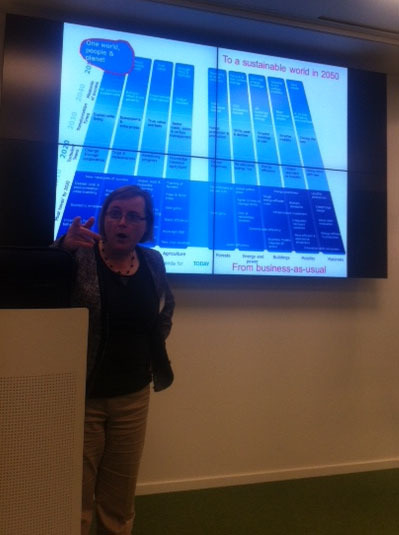 H2020 will require the research group set up in one discipline to step outside of the box and the comfort zone. While the project idea will be the starting-point for the platform of collaboration, it will take a lot of creative thinking to get the architecture right. It is really important. Synergies with the European structural and Investment Funds (ESFI) are also encouraged in the long-term perspective. The minimum size of a European R&I collaboration will involve participants from at least three programme countries. 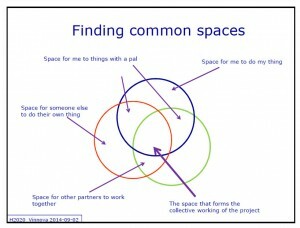 – Its about finding the common space! 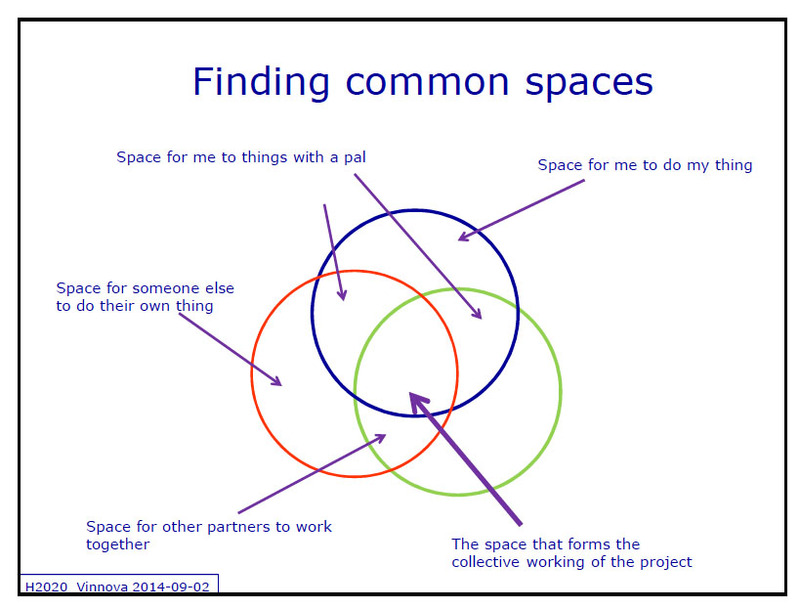 The common area in the middle represents the collective working of the project and it is important to understand that it is only this part that can get research funding from the European level. Behind the structure of the programme lies the belief that people from different research fields and sectors of society will trigger creativity and fuel innovation. One needs to be proactive and open in setting up broad cross-disciplinary and cross-sectorial research collaborations. The programme is not just for research institutes, any legal personality may apply for funding or participate in the project such as creative firms, ICT companies and innovative individuals to mention but a few. To conclude, it is clear that we need to think of new ways to unite in cross-collaboration within the context of H2020 to bridge the gap between research and innovation and to make Europe competitive. The European level is calling for creative research collaborations which will help us move towards a sustainable and secure European society in 2050. The roadmap formulated by the policy-makers at European level in H2020 will be continuously revised and updated throughout the programming period in a work programme divided in nineteen parts for us to dig into! Some flexibility for the unforeseen has been built in for sure. Next article will be looking at gender. Find out more about the programme and calls for proposals at http://ec.europa.eu/programmes/horizon2020. For more information you may contact the National Contact Point in Sweden, Vinnova. Do not hesitate to get in touch with ThinkDo should you need some assistance in developing your project proposal and collaboration, or want to collaborate. ThinkDo may provide creative thinking outside the box and administrative technical support. For more information and contact details please visit www.thinkdo.se. Detta inlägg postades i Projektbloggen och märktes EU-program, H2020, Humanities, innovation, projektutveckling, research, research collaboration, Social Sciences den 17 september, 2014 av Ulrika Nilsson.